Let Manning Luxury and Albuquerque Florist take care of all your corporate floral needs. From office flowers to your next holiday party or corporate event, our floral specialist have you covered. And business gifts? We can help you with those too. Nothing says, “welcome,” like flowers. Maintain your office image with Fresh Flower service from Manning Luxury. 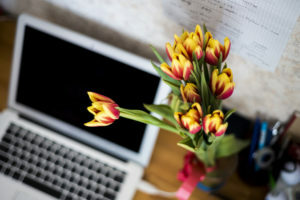 We will provide fresh, seasonal office flowers on a schedule that works for your needs and budget. Add that extra impressive touch to your lobby or client waiting area. With office services, we take care of all of your decor needs. 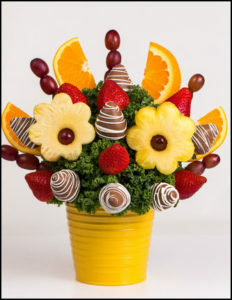 Ask about our bulk and wholesale flowers, via our partnership with Albuquerque Flower Market. Make that important meeting look spectacular or make your holiday parties something to remember. Adding to the ambiance with flowers can do just that. Whether just ordering centerpieces or creating a full-scale floral design, the Manning Luxury team makes planning your next corporate event easy and beautiful. Our event floral designers enhance your event with tablescapes and custom floral pieces crafted to your needs and budget. Because we are a full-service florist, we can assist with all aspects of your event— including coordinating with other vendors like photographers and Albuquerque-area venues. Just ask! Through our partner, Albuquerque Florist, we offer flowers and gifts appropriate for any occasion: Thank You, Congratulations, Welcome and Happy Holidays… Plus, we have a tasteful Condolence and Sympathy selection. And last minute gifts? Don’t worry. In most cases, we offer same-day delivery to the Albuquerque area. Contact us for a free consultation on your office floral design needs.